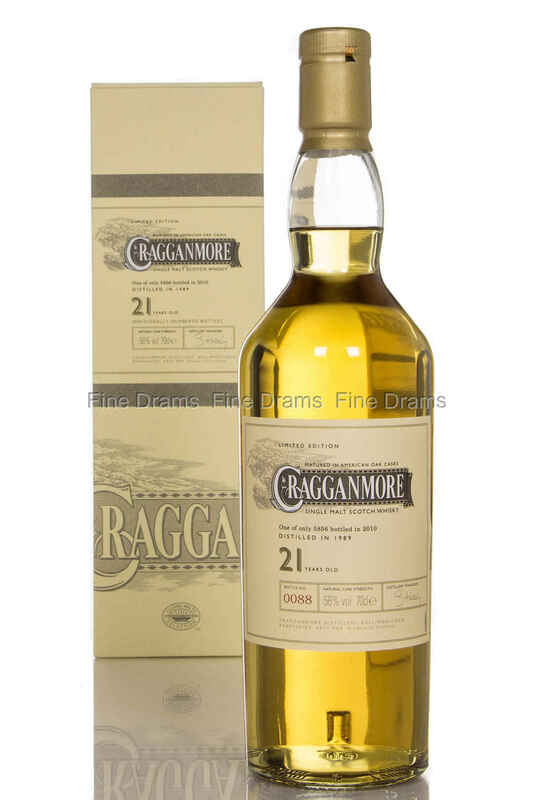 A 21 year old Cragganmore, bottled as part of Diageo’s annual Special Release, in 2010. This is a cask strength single malt whisky, matured exclusively in refill American oak casks. It was distilled in 1989 and bottled in 2010, with an outturn of 5856 bottles.